It's the spring of 1943, and you're working as an undercover agent behind enemy lines, passing yourself off as a German in a quaint Bavarian village. One afternoon, you're sitting in a tavern sipping schnapps and flirting with a pretty fraulein when someone identifies you as an allied spy. Before you can amiably protest and offer to buy the man a drink, somebody else hits you on the back of the head, and the lights go out. The next thing you know, you wake up in what appears to be the basement of a large mansion. But this is no ordinary mansion. This is Totenhaus (House of Death), the dreaded location where Allied spies are taken to be interrogated and executed. Until now, no one has escaped from Totenhaus alive. Will you be the first? 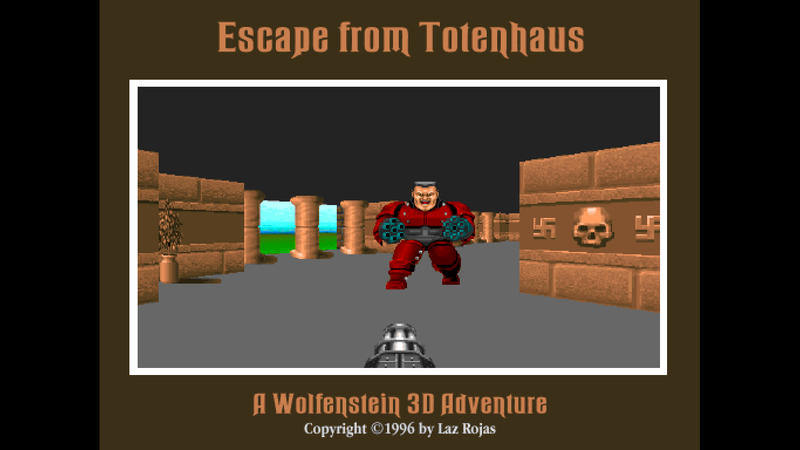 This is a conversion of the original "Escape from Totenhaus" Mac scenario by Laz Rojas. Much like my other conversions, this makes the scenario work with the orginal Wolf3D files using ECWolf. Menu graphics adapted from WolfenDOOM, Wolf 3D, and the ECWolf Tech Demo by Executor. run "ecwolf --file toten_data.bin toten_fix_PC.pk3"
Then maybe some YYR and Clubey stuff. Does this one effectively replace your previous hi-res port of Escape From Totenhaus? 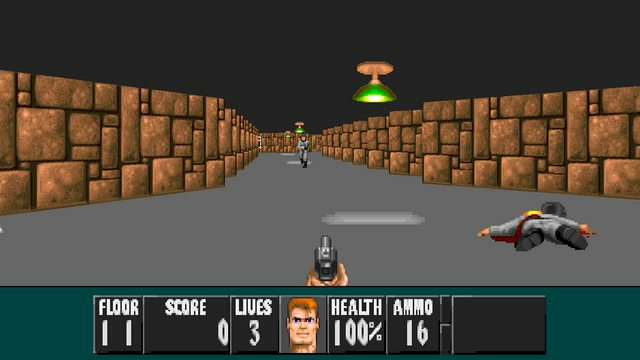 It certainly looks like higher resolution graphics than the previous hi-res port. Korell wrote: Does this one effectively replace your previous hi-res port of Escape From Totenhaus? It certainly looks like higher resolution graphics than the previous hi-res port. Doesn't replace - it's a completely different version. 4 diff versions by Laz of Totenhaus exist - the original, the special edition, the pc version, and the WolfenDOOM version. Obviously the WolfenDOOM version doesn't count with these versions. 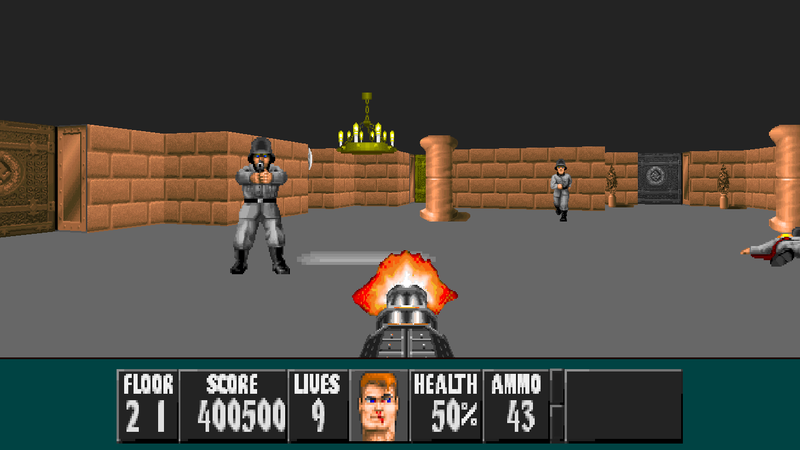 The original and the special edition were both Mac Wolfenstein scenarios. The hi-res port is based off of the PC version, using a mix of Mac and PC assets, plus some custom made stuff. 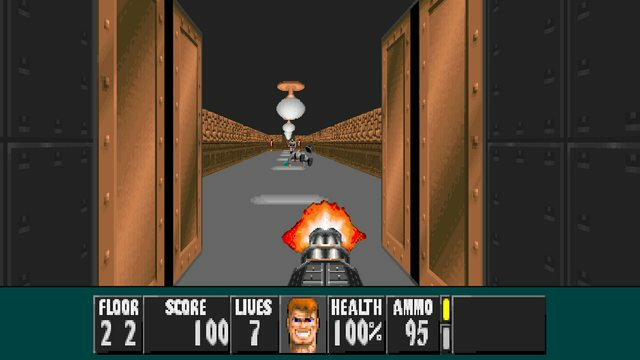 A mac sprite version of the HD PC version could possibly be made, much like I did for Astrostein: Spifferaneous Edition. I believe I have the sprite sheets somewhere, unless someone around here knows anything about extracting resources from macbinary files. Ah, I see, so I imagine that there are some differences other than textures and sprites then, so I'll keep all three of them in my ECWolf installation.